THIS IS JUST GORGEOUS. 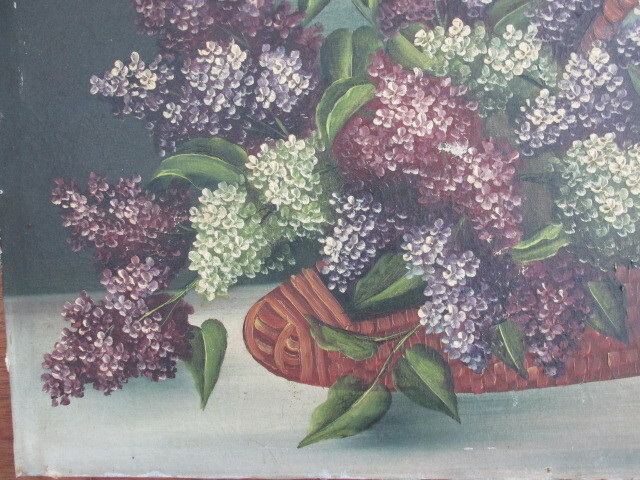 IT IS AN OLD VINTAGE OIL PAINTING IN BEAUTIFUL COLORS OF LILACS. This is painted on a canvas that is attached to a wood panel and is very well painted. 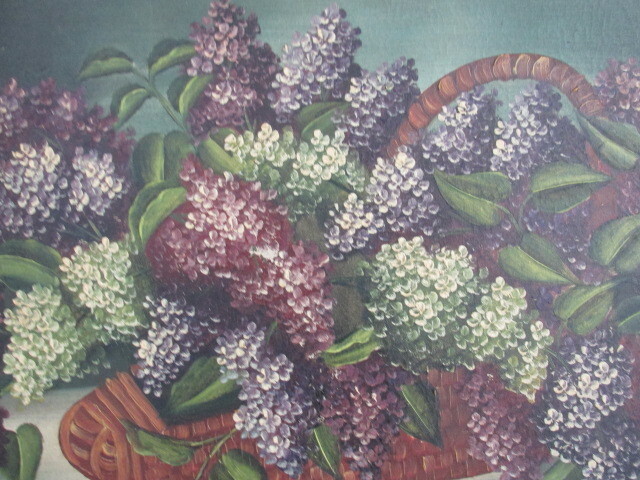 There is a basket of beautiful lilacs, which you don't find very often. The colors are beautiful. There is some minor paint loss, scratches and wear. It is signed, but I can't make it out. PLEASE NOTE THAT IT LOOKS LIKE IT WAS REMOVED FROM A FRAME AT ONE TIME. 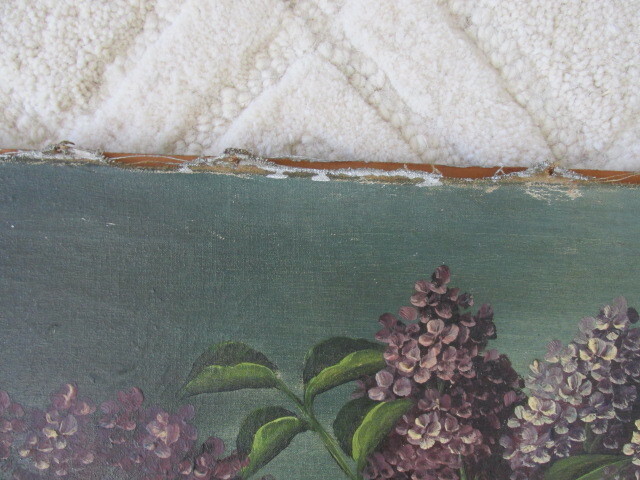 THE EDGES ARE A LITTLE UNEVEN AND THERE IS A LITTLE SEPARATION FROM THE CANVAS AND THE WOOD BACKING. This would be stunning alone or on a wall of old floral paintings in any shabby chic, romantic cottage or French Country home. Measurements are about 16" by 15".